LEYTERZOFF, xHyperist_, Stephen and 1 other person like this. LEYTERZOFF, Makroser, NagolGames and 1 other person like this. NagolGames and Blamph like this. Will there be a Chad forum post soon? ✝, DinoZockt, Param and 3 others like this. thank you yannick! You did your best in very difficult conditions. 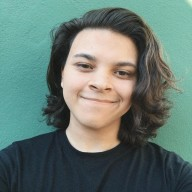 You have done so much for MCGamer, thank you! I cannot give you the rank since your account does link to a platinum donor account. But I did change your name. I don't want my platinum rank on the forum anymore. Can you remove my forum rank ?